A team of mechanical engineers at Worcester Polytechnic Institute (WPI) have developed a fascinating technology – a liquid biopsy chip that captures and detects metastatic cancer cells, just from a small blood sample of cancer patients(1). This device is a recent development in the scientific field and holds tremendous potential that will allow doctors to spot signs of metastasis for a variety of cancers at an early stage and initiate an appropriate course of treatment(1). Metastasis occurs when cancer cells break away from their site of origin and spread to other parts of the body via the lymph or the bloodstream, where they give rise to secondary tumors(2). By this time, the cancer is at an advanced stage and it becomes increasingly difficult to fight the disease. The cells that are shed by primary and metastatic cancers are called circulating tumor cells (CTCs) and their numbers lie in the range of 1–77,200/m(3). The basis of the liquid biopsy chip test is to capture these circulating tumor cells in the patient’s blood and identify the cell type through specific interaction with antibodies(4). The chip is comprised of individual test units or small elements, about 3 millimeters wide(4). Each small element contains a network of carbon nanotube sensors in a well which are functionalized with antibodies(4). These antibodies will bind cell-surface antigens or protein markers unique for each type of cancer cell. Specific interaction between a cell surface protein and its corresponding antibody is a thermodynamic event that causes a change in free energy which is transduced into electricity(3). This electrical signature is picked up by the semi-conducting carbon nanotubes and can be seen as electrical spikes(4). Specific interactions create an increase in electrical signal, whereas non-specific interactions cause a decrease in signal or no change at all(4). Capture efficiency of cancer cells with the chip has been reported to range between 62-100%(4). The liquid biopsy chip is also more advanced than microfluidics for several reasons. Firstly, the nanotube-chip arrays can capture as well as detect cancer cells, while microfluidics can only capture(4). Samples do not need to be processed for labeling or fixation, so the cell structures are preserved(4). Unlike microfluidics, these nanotubes will also capture tiny structures called exosomes spanning the nanometer range that are produced from cancer cells and carry the same biomarkers(4). Pancreatic cancer is the fourth leading cause of cancer-associated deaths in the United states, with a survival window of 5 years in only 6% of the cases with treatment(5). In most patients, the disease has already metastasized at the time of diagnosis due to the lack of early-diagnostic markers, affecting some of the major organs such as liver, lungs and the peritoneum(5,6). Despite surgical resection of the primary tumor, the recurrence of local and metastatic tumors is rampant(5). Metastasis is the major cause of mortality in cancers(5). The liquid biopsy chip, that identifies CTCs can thus become an effective diagnostic tool in early detection of cancer as well as provide information into the efficacy of treatment(3). At present, ongoing experiments with this device involve testing for breast cancers but Dr. Balaji Panchapakesan and his team of engineers at WPI are optimistic about incorporating pancreatic and lung cancers into their research. 2.Martin TA, Ye L, Sanders AJ, et al. 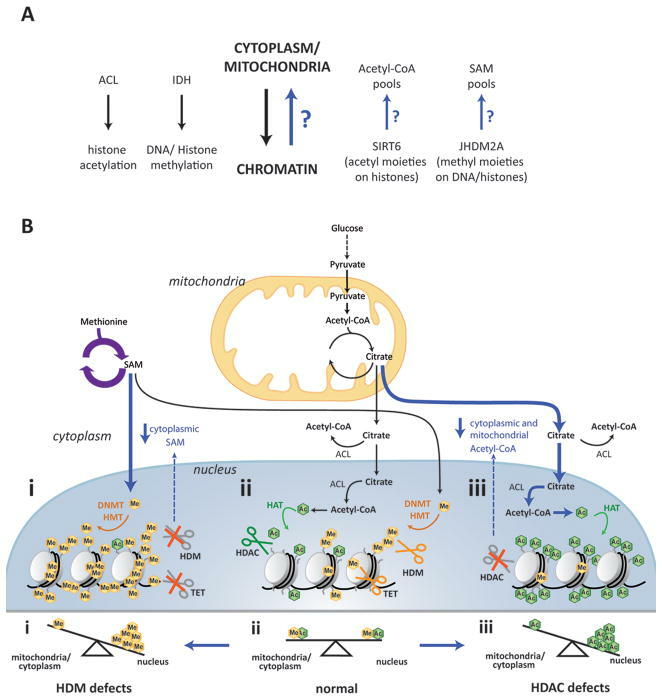 Cancer Invasion and Metastasis: Molecular and Cellular Perspective. In: Madame Curie Bioscience Database [Internet]. Austin (TX): Landes Bioscience; 2000-2013. 5.Seyfried, T. N., & Huysentruyt, L. C. (2013). On the Origin of Cancer Metastasis. Critical Reviews in Oncogenesis, 18(1-2), 43–73. Deleted in Pancreatic Cancer, locus 4 (DPC4) officially known as SMAD4 is a component of the Transforming Growth Factor Beta (TGFß) pathway with tumour suppressive properties. As its name suggests it is frequently lost in pancreatic cancer, although through a variety of mechanisms in addition to gene deletion. The loss of SMAD4 is important in the progression of pancreatic intraepithelial neoplasia (PanIN) towards pancreatic ductal adenocarcinoma (PDAC). The expression of SMAD4 can suppress metastasis, angiogenesis, and cancer stem-like cell generation. SMAD4 can promote cancer cell apoptosis through a recently described mechanism involving a lethal epithelial to mesenchymal transition (EMT). SMAD4 status has a predictive role in pancreatic cancer personalised medicine. This curation categorises recent publications of note regarding SMAD4. Garcia-Carracedo, Dario, Chih-Chieh Yu, Nathan Akhavan, Stuart A. Fine, Frank Schönleben, Naoki Maehara, Dillon C. Karg, et al. ‘Smad4 Loss Synergizes with TGFα Overexpression in Promoting Pancreatic Metaplasia, PanIN Development, and Fibrosis’. Edited by Ilse Rooman. PLOS ONE 10, no. 3 (24 March 2015): e0120851. doi:10.1371/journal.pone.0120851. Norris, A M, A Gore, A Balboni, A Young, D S Longnecker, and M Korc. ‘AGR2 Is a SMAD4-Suppressible Gene That Modulates MUC1 Levels and Promotes the Initiation and Progression of Pancreatic Intraepithelial Neoplasia’. Oncogene 32, no. 33 (15 August 2013): 3867–76. doi:10.1038/onc.2012.394. Leung, Lisa, Nikolina Radulovich, Chang-Qi Zhu, Dennis Wang, Christine To, Emin Ibrahimov, and Ming-Sound Tsao. ‘Loss of Canonical Smad4 Signaling Promotes KRAS Driven Malignant Transformation of Human Pancreatic Duct Epithelial Cells and Metastasis’. Edited by Hidayatullah G Munshi. PLoS ONE 8, no. 12 (27 December 2013): e84366. doi:10.1371/journal.pone.0084366. Xia, Xiang, Kundong Zhang, Gang Cen, Tao Jiang, Jun Cao, Kejian Huang, Chen Huang, Qian Zhao, and Zhengjun Qiu. ‘MicroRNA-301a-3p Promotes Pancreatic Cancer Progression via Negative Regulation of SMAD4’. Oncotarget 6, no. 25 (28 August 2015): 21046–63. doi:10.18632/oncotarget.4124. Murphy, Stephen J., Steven N. Hart, Geoffrey C. Halling, Sarah H. Johnson, James B. Smadbeck, Travis Drucker, Joema Felipe Lima, et al. ‘Integrated Genomic Analysis of Pancreatic Ductal Adenocarcinomas Reveals Genomic Rearrangement Events as Significant Drivers of Disease’. Cancer Research 76, no. 3 (1 February 2016): 749–61. doi:10.1158/0008-5472.CAN-15-2198. Sawai, Yugo, Yuzo Kodama, Takahiro Shimizu, Yuji Ota, Takahisa Maruno, Yuji Eso, Akira Kurita, et al. ‘Activation-Induced Cytidine Deaminase Contributes to Pancreatic Tumorigenesis by Inducing Tumor-Related Gene Mutations’. Cancer Research 75, no. 16 (15 August 2015): 3292–3301. doi:10.1158/0008-5472.CAN-14-3028. Demagny, Hadrien, and Edward M De Robertis. ‘Point Mutations in the Tumor Suppressor Smad4/DPC4 Enhance Its Phosphorylation by GSK3 and Reversibly Inactivate TGF-β Signaling’. Molecular & Cellular Oncology 3, no. 1 (2 January 2016): e1025181. doi:10.1080/23723556.2015.1025181. Foster, David. ‘BxPC3 Pancreatic Cancer Cells Express a Truncated Smad4 Protein upon PI3K and mTOR Inhibition’. Oncology Letters, 28 January 2014. doi:10.3892/ol.2014.1833. Hao, Jun, Shuyu Zhang, Yingqi Zhou, Cong Liu, Xiangui Hu, and Chenghao Shao. ‘MicroRNA 421 Suppresses DPC4/Smad4 in Pancreatic Cancer’. Biochemical and Biophysical Research Communications 406, no. 4 (25 March 2011): 552–57. doi:10.1016/j.bbrc.2011.02.086. Zhang, Xueying, Junxia Cao, Yujun Pei, Jiyan Zhang, and Qingyang Wang. 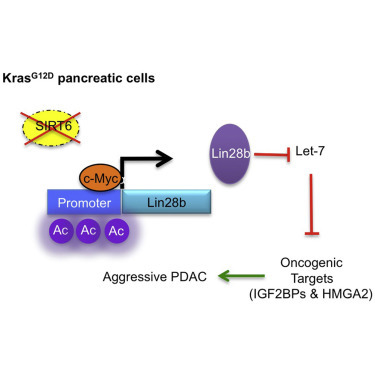 ‘Smad4 Inhibits Cell Migration via Suppression of JNK Activity in Human Pancreatic Carcinoma PANC‑1 Cells’. Oncology Letters, 7 April 2016. doi:10.3892/ol.2016.4427. Kang, Ya ’an, Jianhua Ling, Rei Suzuki, David Roife, Xavier Chopin-Laly, Mark J. Truty, Deyali Chatterjee, et al. ‘SMAD4 Regulates Cell Motility through Transcription of N-Cadherin in Human Pancreatic Ductal Epithelium’. Edited by Neil A. Hotchin. PLoS ONE 9, no. 9 (29 September 2014): e107948. doi:10.1371/journal.pone.0107948. Chen, Yu-Wen, Pi-Jung Hsiao, Ching-Chieh Weng, Kung-Kai Kuo, Tzu-Lei Kuo, Deng-Chyang Wu, Wen-Chun Hung, and Kuang-Hung Cheng. 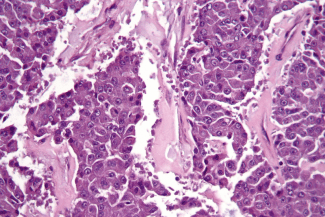 ‘SMAD4 Loss Triggers the Phenotypic Changes of Pancreatic Ductal Adenocarcinoma Cells’. BMC Cancer 14, no. 1 (2014): 1. https://bmccancer.biomedcentral.com/articles/10.1186/1471-2407-14-181. Zhou, Zhichao, Juming Lu, Jingtao Dou, Zhaohui Lv, Xi Qin, and Jing Lin. ‘FHL1 and Smad4 Synergistically Inhibit Vascular Endothelial Growth Factor Expression’. Molecular Medicine Reports 7, no. 2 (February 2013): 649–53. doi:10.3892/mmr.2012.1202. Hoshino, Yukari, Jun Nishida, Yoko Katsuno, Daizo Koinuma, Taku Aoki, Norihiro Kokudo, Kohei Miyazono, and Shogo Ehata. ‘Smad4 Decreases the Population of Pancreatic Cancer–Initiating Cells through Transcriptional Repression of ALDH1A1’. The American Journal of Pathology 185, no. 5 (2015): 1457–1470. http://www.sciencedirect.com/science/article/pii/S0002944015000802. David, Charles J., Yun-Han Huang, Mo Chen, Jie Su, Yilong Zou, Nabeel Bardeesy, Christine A. Iacobuzio-Donahue, and Joan Massagué. ‘TGF-β Tumor Suppression through a Lethal EMT’. Cell 164, no. 5 (February 2016): 1015–30. doi:10.1016/j.cell.2016.01.009. Wang, Qi, Juanjuan Li, Wei Wu, Ruizhe Shen, He Jiang, Yuting Qian, Yanping Tang, et al. ‘Smad4-Dependent Suppressor Pituitary Homeobox 2 Promotes PPP2R2A-Mediated Inhibition of Akt Pathway in Pancreatic Cancer’. Oncotarget 7, no. 10 (8 March 2016): 11208–22. doi:10.18632/oncotarget.7158. Fullerton, Paul T., Chad J. Creighton, and Martin M. Matzuk. ‘Insights Into SMAD4 Loss in Pancreatic Cancer From Inducible Restoration of TGF-β Signaling’. Molecular Endocrinology (Baltimore, Md.) 29, no. 10 (October 2015): 1440–53. doi:10.1210/me.2015-1102. Li, Lei, Zhaoshen Li, Xiangyu Kong, Dacheng Xie, Zhiliang Jia, Weihua Jiang, Jiujie Cui, et al. ‘Down-Regulation of MicroRNA-494 via Loss of SMAD4 Increases FOXM1 and β-Catenin Signaling in Pancreatic Ductal Adenocarcinoma Cells’. Gastroenterology 147, no. 2 (August 2014): 485–497.e18. doi:10.1053/j.gastro.2014.04.048. Lin, Sheng-Zhang, Jin-Bo Xu, Xu Ji, Hui Chen, Hong-Tao Xu, Ping Hu, Liang Chen, et al. ‘Emodin Inhibits Angiogenesis in Pancreatic Cancer by Regulating the Transforming Growth Factor-Β/drosophila Mothers against Decapentaplegic Pathway and Angiogenesis-Associated microRNAs’. Molecular Medicine Reports 12, no. 4 (October 2015): 5865–71. doi:10.3892/mmr.2015.4158. Whittle, Martin C., Kamel Izeradjene, P. Geetha Rani, Libing Feng, Markus A. Carlson, Kathleen E. DelGiorno, Laura D. Wood, et al. ‘RUNX3 Controls a Metastatic Switch in Pancreatic Ductal Adenocarcinoma’. Cell 161, no. 6 (June 2015): 1345–60. doi:10.1016/j.cell.2015.04.048. Boone, Brian A., Shirin Sabbaghian, Mazen Zenati, J. Wallis Marsh, A. James Moser, Amer H. Zureikat, Aatur D. Singhi, Herbert J. Zeh, and Alyssa M. Krasinskas. ‘Loss of SMAD4 Staining in Pre-Operative Cell Blocks Is Associated with Distant Metastases Following Pancreaticoduodenectomy with Venous Resection for Pancreatic Cancer’. Journal of Surgical Oncology 110, no. 2 (August 2014): 171–75. doi:10.1002/jso.23606. Herman, Joseph M., Katherine Y. Fan, Aaron T. Wild, Laura D. Wood, Amanda L. Blackford, Ross C. Donehower, Manuel Hidalgo, et al. ‘Correlation of Smad4 Status With Outcomes in Patients Receiving Erlotinib Combined With Adjuvant Chemoradiation and Chemotherapy After Resection for Pancreatic Adenocarcinoma’. International Journal of Radiation Oncology*Biology*Physics 87, no. 3 (November 2013): 458–59. doi:10.1016/j.ijrobp.2013.06.2039.